The gold price regained some of yesterday's losses on Thursday, after US Federal Reserve chair Janet Yellen said the bank may revisit the rate at which it is cutting back on its economic stimulus program. On the Comex division of the New York Mercantile Exchange, gold futures for April delivery – the most active contract – last traded at $1,334.30 an ounce, up $6.30 from yesterday's close and near its highs for the trading day. Yellen told the Senate Banking Committee "asset purchases are not on a preset course, so if there's a significant change in the outlook certainly we would be open to reconsidering, but I wouldn’t want to jump to conclusions here." Yellen said the bank has seen "quite a bit of soft data" but it is unclear how much of the recent deterioration in US economic growth was due to the weather. What officials "need to do… is to try to get a firmer handle on exactly how much of that set of softer data can be explained by weather and what portion if any is due to a softer outlook," she said. Recent poor economic data comes on the heels of two disappointing jobs reports – the Fed's key measure in deciding interest rates – in December and January which have strengthened the hands of supporters of the Fed's economic stimulus program. The next release of official US jobs numbers is next Friday. 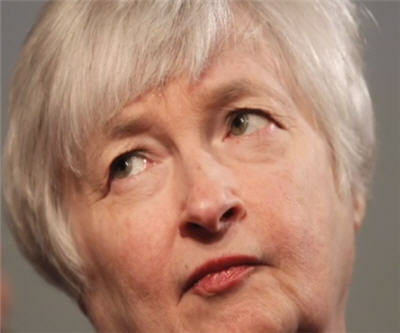 It not the first time Yellen has left the door open to pause the tapering of $65 billion a month – down from $85 billion a month in December – asset purchases under its quantitative easing program of which she was one of the chief architects. Monetary expansion, particularly since the financial crisis, has been a massive boon for the gold price. Gold was trading around $830 an ounce when previous chairman Ben Bernanke announced QE1 in November 2008. The price of gold slid close to 28% in 2013 – the worst annual performance since 1980 – in anticipation of an end to the ultra-loose monetary policy, but has enjoyed double digit gains in 2013.